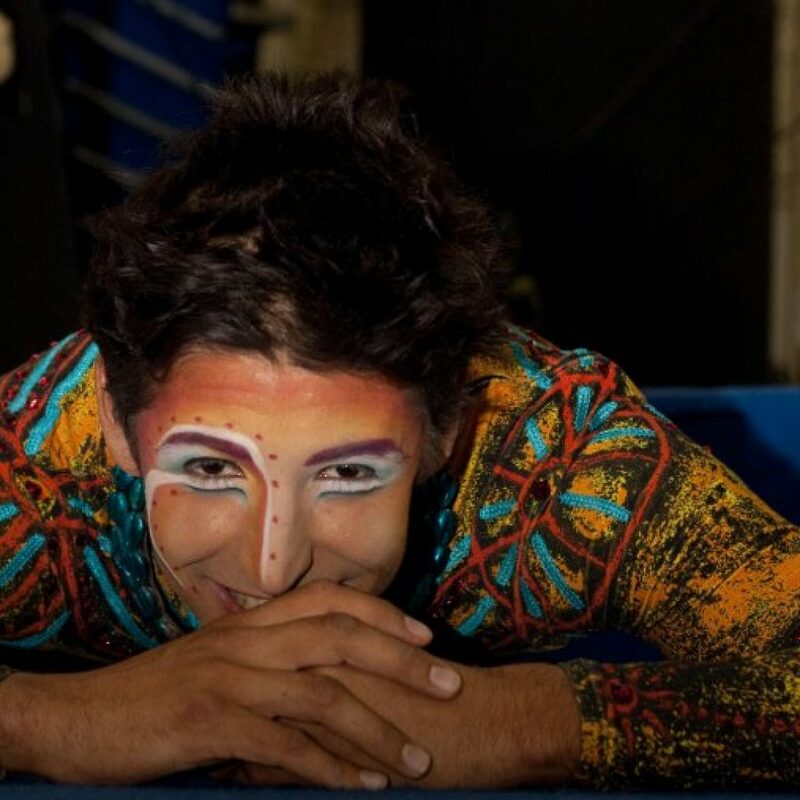 Srikanta Barefoot was hired by Cirque du Soleil in the summer of 2007 to be the featured fire artist, fire coach and to play the character of the Shaman for what was to become ZAIA, Cirque du Soleil’s first resident show in Asia. 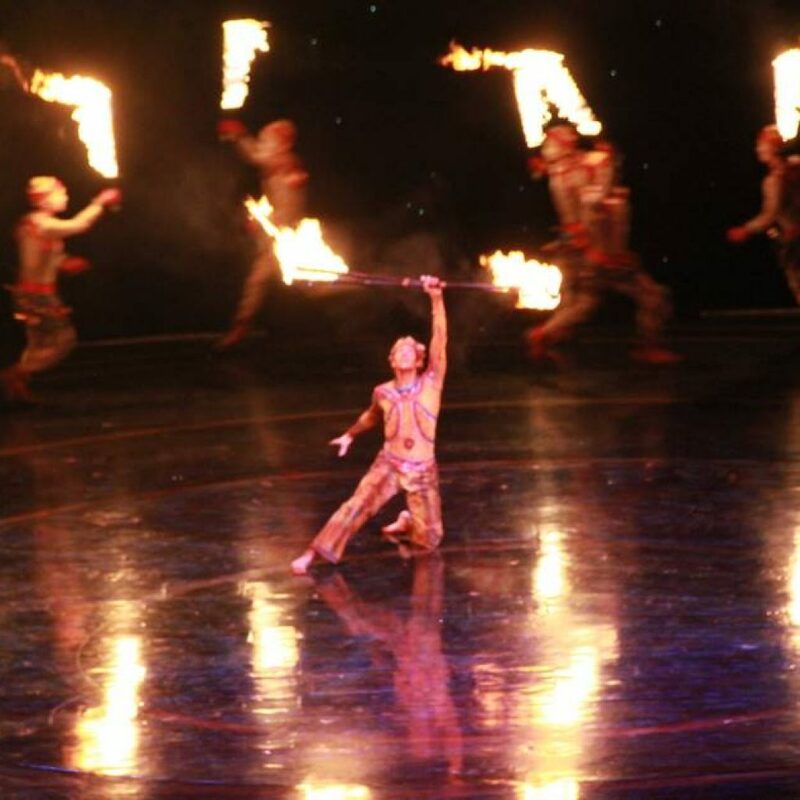 Over the course of the next 3 years, Srikanta worked to create, maintain and star in the most elaborate fire dance production Cirque du Soleil has ever made. Why & how did you get involved with the Cirque du Soleil? I knew for a long time that I wanted to take my art to the next level and thought Cirque du Soleil would be a good way for me to focus on my art without the headache of managing my own career. In December 2006 I sent a short DVD of my act, and received an auto-generated email back from Cirque, saying “thanks, we will get back to you soon, later or never”. Then, 7 months later, I received a phone call from Cirque du Soleil and was told that I was the artistic team’s first choice. Later, when talking with Martino Muller, the choreographer, he explained that out of all the DVD’s he had seen of Fire Acts, I was the only one he could imagine working with, because I was the only one who actually danced with the fire. 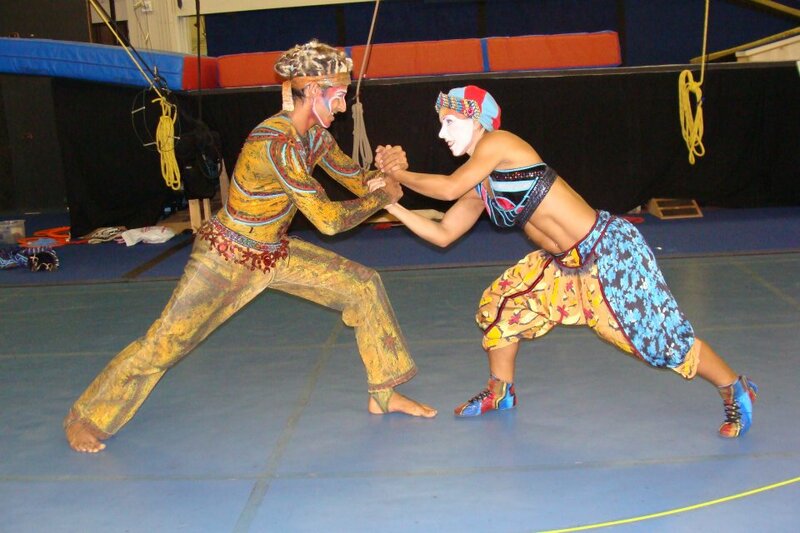 What were your duties during your time with Cirque du Soleil? My mission was to create the biggest Cirque du Soleil fire act ever using 20+ acrobats and dancers without previous fire experience as background performers during my own 5 minute solo, using poi, staff, double staff & double swords. 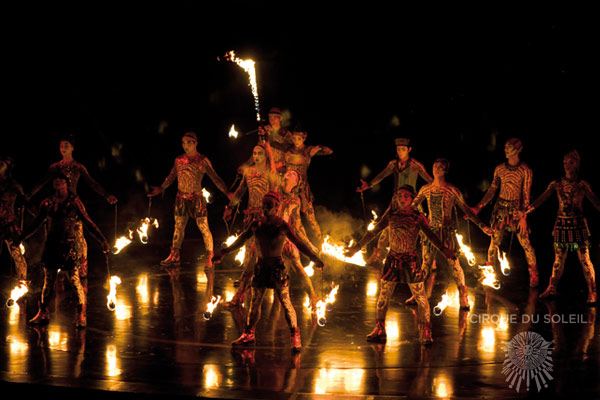 I worked closely with the artistic team to develop the ideas and group choreography for the fire act. I worked with the props department to design the fire tools used in the act, trained technicians and artists in fire safety and advised on many other technical aspects of the production. In addition to performing 6 nights per week as the Shaman and the featured fire artist, I oversaw the one-year apprenticeship of my back-up, Zhen Bo, who is a ballet dancer with a base in Chinese Martial Arts. It was interesting to teach fire to someone with his background and explore possibilities, which neither of us had previously imagined. Following his incorporation as a back-up, we were given the task of creating a duo fire act, which we performed for several months prior to my departure. How did you feel on opening night? It was intense. I still remember the moments before walking on stage with fire- the intensity of the bass and drums during the previous act vibrating through my body, the feeling of the space around me and the sold-out crowd. Then the tribal drum transition before my act began, technicians on either side of me lit my staff. I ran to the center of the stage, stopped, gestured towards the sky with my staff to cue the music, took a deep breath, and began to dance. What was the best part of working with Cirque du Soleil? On a personal level, the best thing Cirque brought to me is my wife Jen, who grew up dancing in Paris with another artist on ZAIA and was in Macau visiting during the show’s premier. Artistically, the best part was learning how to work professionally within a professional environment. Performing 6 nights per week over the course of 2 years was a challenging journey, which required me to grow both as an individual and as an artist. I now feel empowered and more confident than ever in my ability to create, coach and perform. 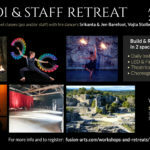 Can you talk about the challenges you faced in working with Cirque du Soleil? 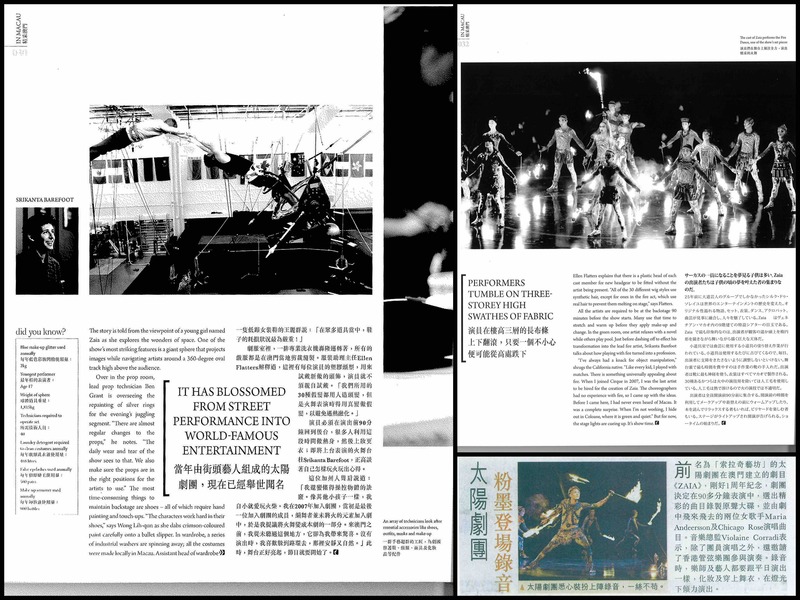 Among the challenges artists faced with ZAIA, including typhoons, injuries caused by impractical costuming and the threat of the show closing, the most significant challenge I found was balancing physical and mental health with the intense schedule of training and performing 8-12 shows per week. How did you remain inspired with performing over 700 shows? I was lucky to be a solo artist and my own coach, with the liberty to change my choreography at will, unlike virtually every other artist in the show, who had to do the same exact thing every night to remain cohesive with their group and/or pre-programmed automation. I found that cultivating other interests (like straps, the cyr wheel, capoeira and body percussion) as well as working on side projects (such as my “feel good inc” and cyr wheel videos) was an excellent way to keep active and inspired. Why did you decide not to renew your contract with Cirque du Soleil? My choice to give up my position with ZAIA was both artistic and environmental. Even though I found ways to stay creative within my act, I felt the potential to grow beyond the musical and artistic confines. Thus, I decided to leave ZAIA for the same reason why I joined Cirque du Soleil in the first place, to follow the natural development of my art. This is not to say that I would not work for CDS again, but rather that I was ready for a new project.